The following Learn Routine can be used to program this replacement tranmitter to the system, in order to enter the Learn Routine, the systems Valet/Program switch must be plugged into the BLUE port. 3. Choose. Within 5 seconds press and release the Valet/Program button the number of times corresponding to the desired channel listed below. Once you have selected the channel, press the Valet/Program button once more hold it. the LED will flash the same number of times as the channel selected and the siren (if connected) will chirp to confirm the selected channel. Do NOT release the button. 4. Transmitter. 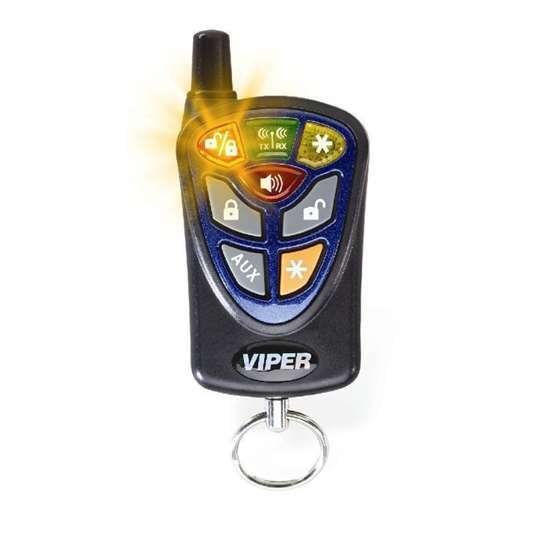 While holding the Valet/Program button, press the button from the transmitter you wish to assign to that channel. The unit will chirp (if horn or siren connected) to confirm that the transmitter has been taught to the receiver.